Where [Field Name] is equal [String Value] That would be nice, right? So i started digging into rules conditions and see how can i make this possible, And came to my surprise that Sitecore have built a predefined set of conditions to do just the job! 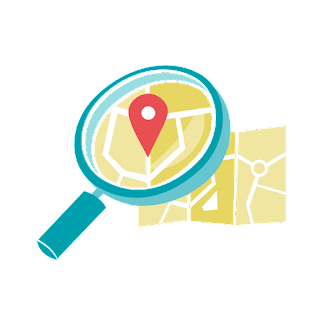 Previously i have released Sitecore.ContentSearch.Spatial module that support applying Geo-location based search using Sitecore ContentSearch API, That release had some issues with results getting cached and not updating when you publish the location items or make changes to them, Also it required that you use different [documentBuilderType] than Sitecore default. 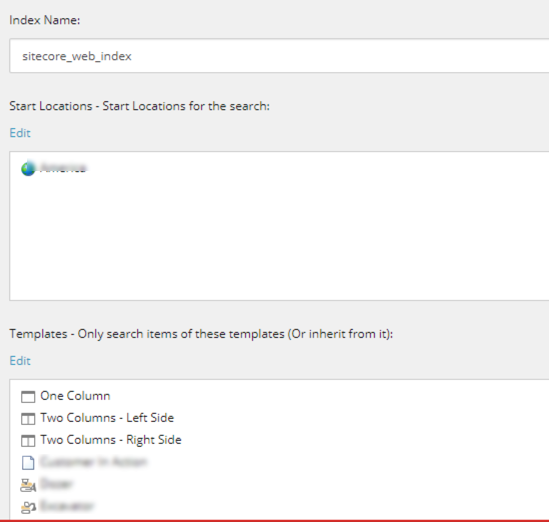 In the new release you only to update your index to use (Sitecore.ContentSearch.Spatial.Provider.Lucene.LuceneIndexWithSpatial) class, and to add two computed fields configurations to your Index configurations, and that's it! 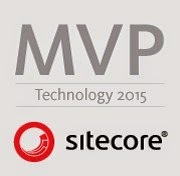 Navigate to /sitecore/system/Modules/Web Forms for Marketers/Settings/Actions/Save Actions/Send Email Message item. In Parameters field add the following: true.Save and publish changes. We have been using Solr with Sitecore for our latest Sitecore implementations as it offers better index synchronization across all CD/CM servers since its a standalone web app with HTTP access, which means that all CD/CM servers will have up-to-date indexed content, unlike lucene where each Sitecore server is responsible of synchronizing its lucene index, which sometimes breaks and causes content to be out-dated. This blog is not about how to configure Solr with Sitecore, there are many blogs talking on this subject, This blog is about some considerations and best practices that you need to take into account when you setup Solr with Sitecore. Recently one of our clients asked to set the workflow on large number of items that were created without workflow, so i was thinking of writing a script on powershell to do that, but then i thought why not extend Item buckets Search operation and add "Set Workflow" option there! 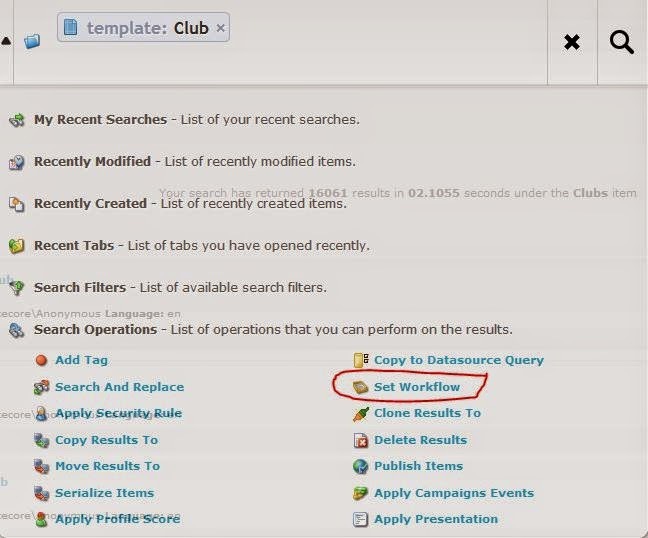 Basically, You will need to write a command that sets the workflow for all items in search results, and register that command.